Last month the world celebrated Mandela’s 95th Birthday, a man known for his fight against apartheid in South Africa. As many spent days in hospital praying for the icon’s continued life, Switzerland was busy conniving ways of reintroducing the practice. The Swiss took part in a referendum last month where they unanimously voted to make the asylum rules stricter than before (Read: Switzerland makes their Asylum laws Stricter). The asylum seekers will also be confined in what they call “exclusive” zones where they should not wander out of, this is a common practice in most EU countries even in Germany where asylum seekers aren’t allowed to move further than a specified safety zone. (Read: Kenyan Fined for Leaving Detention Camp). The move has been protested by several people and organisations but not enough. The referendum saw 78.5% vote for the stricter rules, that’s a HUGE number. The new camp that was set up from old barracks in Bremgarten plans to house 150 refugees and the first 23 have already arrived. The first batch includes refugees from Eritrea, Sudan and Tibet. To add insult to injury, Oprah Winfrey just revealed that she experienced racism in Switzerland during her recent visit there. 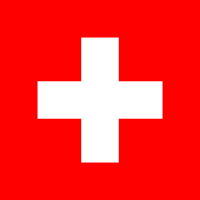 Seems the “neutral” country Switzerland has tried to portray itself as isn’t really the reality.